Google Pixel Vs Google Pixel 2: What's Different? 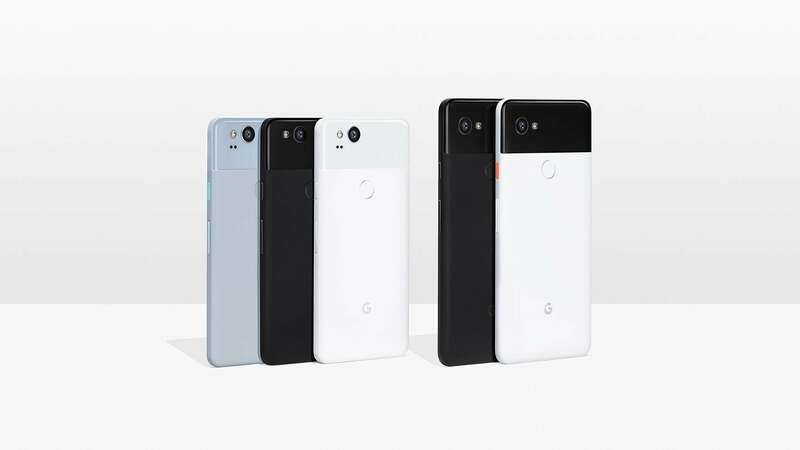 Today, Google announced the Pixel 2 and Pixel 2 XL, sequels to its original Pixel smartphones. The two phones would seem to be identical — save for the larger screen on the Pixel 2 XL — and they both run Android 8.0. You might be thinking of upgrading from the original Pixel to the Pixel 2, but before you shell out $US649 ($826) for the cheapest 64GB model when it becomes available on October 19, check out what's changed since the Pixel debut last October. In a move similar to Apple's staid design of the iPhone 8, Google's Pixel 2 and Pixel 2 XL smartphones look surprisingly similar to their predecessors. Sure, it's what's inside that counts, and the two smartphones feature small changes like front-facing speakers, but that doesn't mean they needs to look nearly identical to last year's model. The fingerprint sensor is still on the back of the device, placed where your pointer finger naturally rests. In addition, both Pixel 2 devices are IP67 water and dust-resistant. The last Pixel was praised for its excellent camera, a rarity in a world where the iPhone or Samsung Galaxy line of smartphones typically snag the spotlight in terms of camera quality and performance. Both Pixel 2 phones have a 12-megapixel rear camera, which earned a 98 on imaging company DxOMark's smartphone camera quality test (the first Pixel scored an 89). While last year's model had the same megapixel resolution, the Pixel 2 features an f/1.8 aperture compared to the Pixel 1's smaller f/2.0. The front-facing 8-megapixel camera hasn't changed,though it does (along with the rear camera) support Google's new portrait mode, which creates DSLR-like images by blurring the background of your image's subject. While the writing's been on the wall for a while, Google just put the nail in the wired headphone's coffin. Following Apple's lead, Google's new phones have ditched the jack entirely necessitating either Bluetooth headphones, headphones using the newer USB-C connector, or an adaptor (great) to listen to tunes through your positively archaic 3.5mm-equipped cans. 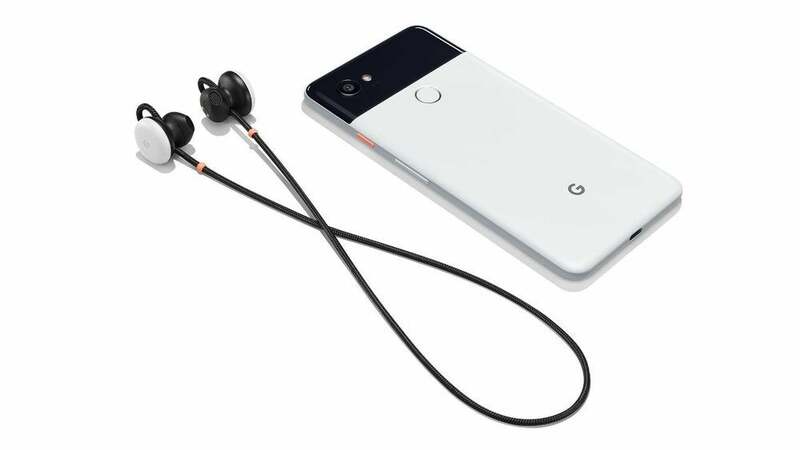 Google also announced its own Bluetooth headphones, Google Pixel Buds, which supports real-time translation through Google Assistant. Just put a finger on your Pixel Buds, ask it to help you speak your foreign language of choice, and start talking. Très incroyable! Though removing the headphone jack makes it easier for Google to waterproof the Pixel 2,, it also means an entire ecosystem of consumer electronics is growing more and more obsolete. Adapt (in this case, with a literal adaptor) or die, I suppose. Google is bravely bucking the trend of taking a chunk out of your smartphone's rectangular display, leaving the Pixel 2's intact. The 13cm display packs a FHD (that's 1920 x 1080) resolution, while the larger Pixel 2 XL features a curved 15cm QHD+ (2880 x 1440) display. The Pixel 2 and 2 XL incorporate a pretty novel feature: squeezable sides. The Active Edge feature, borrowed from HTC's U11 smartphone (which makes sense, considering Google bought the company's smartphone division for a cool $US1 ($1) billion), allows you to squeeze the sides of the device and activate Google Assistant. The Active Edge feature also works when the phone is in a case, so you won't have to brave the elements to take advantage of the quirky feature, or repeatedly ask for Google Assistant's attention if you're in a noisy environment. Hopefully Google lets you repurpose the Active Edge feature for other functions, like snapping a photo or opening oft-used apps. Google's announcement included other accessories both new and familiar for the Pixel 2, including new smartphone cases, a clip-on camera (aptly named Google Clips), and two new Google Home models. Whether they're all actually good, we'll find out soon enough. I have a pixel 1 and the camera is amazing. Its the only thing keeping me on it as its all very generic after that.